Since 1637. Dublin Castle, Ireland. The Dublin Assay Office was established in 1637 to assay and hallmark all items of gold and silver manufactured throughout the whole of Ireland. The Dublin Assay Office maintains the register of Sponsor/Maker’s Marks which are applied to every hallmarked article of precious metals. 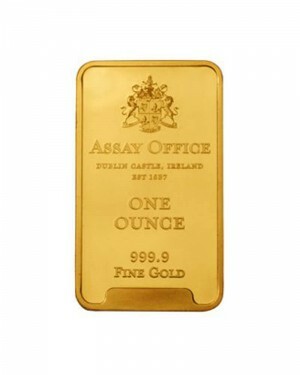 The Dublin Assay Office has a range of “Dublin Assay Office Gold Bullion Bars” 999.9 fine gold. 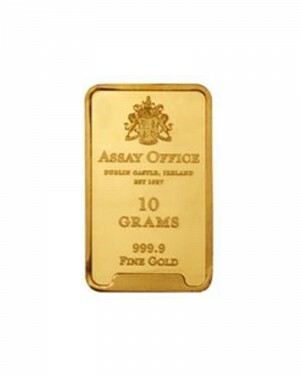 These gold bars are the only Irish branded gold bars available to buy on the market. The Assay Office assays and hallmarks (tests and certifies) items of gold, silver and platinum jewellery and or plate manufactured in Ireland or imported. 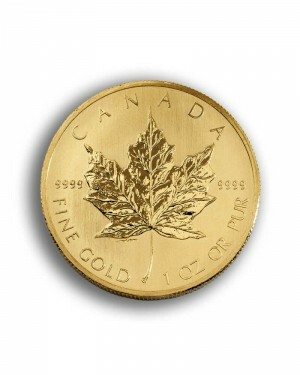 In Ireland all items of gold, silver and platinum are subject to compulsory assay and hallmarking. All standards of fineness are minimum standards with no minus tolerance and there are no exemptions by weight. The Company of Goldsmiths of Dublin governs the Assay Office which is situated in Dublin Castle. 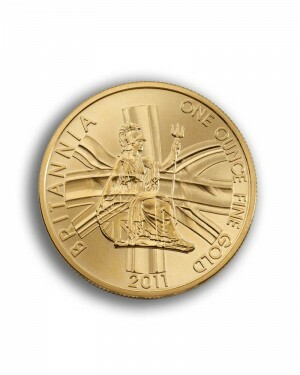 The Company was established and incorporated by royal charter of Charles I on 22nd December 1637. 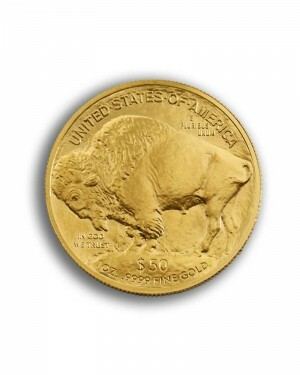 The craft of goldsmith existed in Ireland long before this, during the prehistoric times as early as 1800 BC. It flourished also following the introduction of Christianity in the fifth century and during the medieval period following the Anglo-Norman invasion in 1169. There is mention occasionally of the existence of a guild of goldsmiths in Dublin during the sixteenth century. The Dublin Assay Office is synonymous with quality since its foundation by Royal Charter of Charles 1 in 1637. 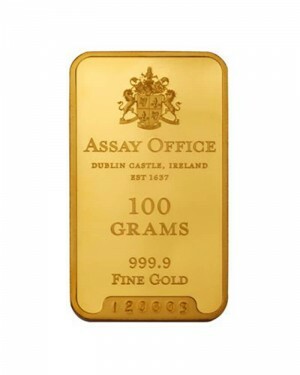 The “Dublin Assay Office Gold Bullion Bars” are 999.9 fine gold and are the only Irish branded gold bars available on the market. 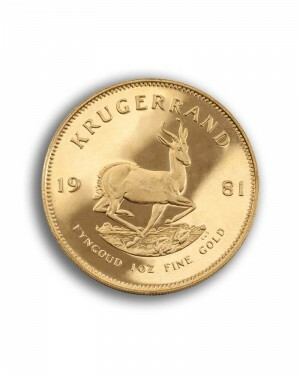 We also offer a selection of some of the most popular gold coins in the world, each of which are guaranteed by their respective governments. Registration is for a ten year period after which it can be renewed. You may either register your name (as per your birth certificate) or a limited company (as registered in the company's office). 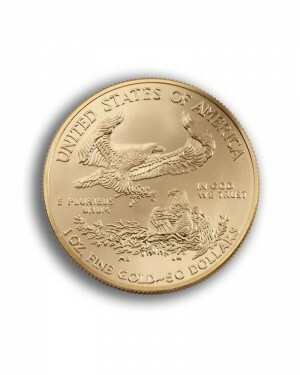 Hallmark registration is for a ten year period after which it can be renewed. Please complete and return the registration form along with payment and either your original birth certificate or company registration certificate. Persons who are registering their name by marriage should also include their original marriage certificate. The Company of Goldsmiths of Dublin The Assay Office, Dublin Castle, Dublin 2, Ireland. 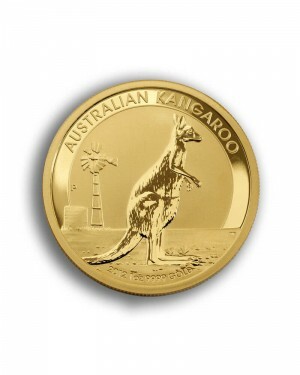 Call 00353 (0)1 475 1286 or email hallmark@assay.ie. 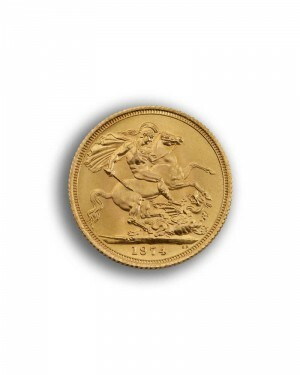 Copyright © 2019 The Company of Goldsmiths of Dublin The Assay Office. All Rights Reserved.